The man in black is back and as much of an unexpected and pleasantly surprise as the original film was, it’s perhaps even more surprising that the sequel manages to pack just as powerful a punch. 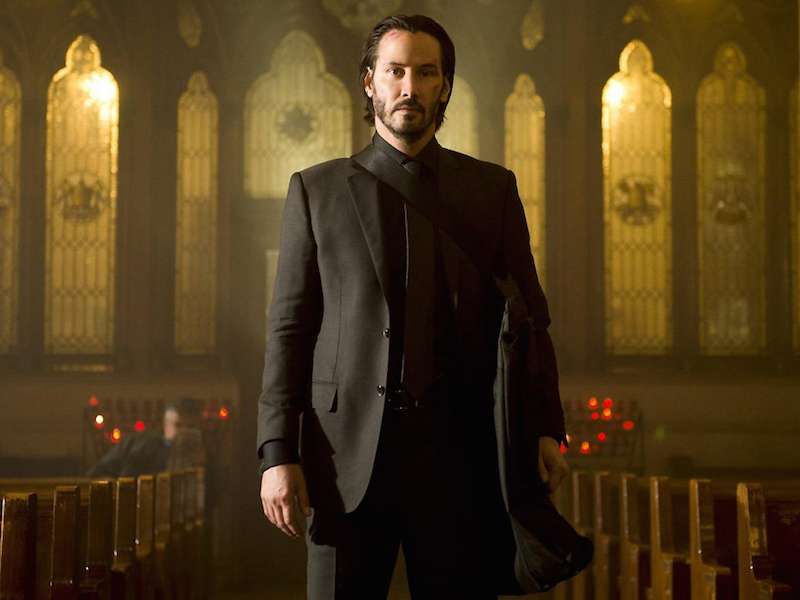 John Wick: Chapter 2 expands on the lean premise of its predecessor by further going down the rabbit hole of this underground fraternity of assassins and introducing new rules and concepts that plausibly expand on the universe. Most importantly, it provides the same no-holds-barred, intensely choreographed action sequences that made the first film stand out amongst the genre and as long as entries in this series continue to present more creative setpieces, we could have many Wick films in our future. We pick up just a few days after the events of John Wick, as the title character (Keanu Reeves) forcefully retrieves his vintage Ford Mustang that’s being held captive by Russian thugs. Wick believes he’s finally out of his life of crime until he is visited by Italian crimelord Santino D’Antonio (Riccardo Scamarcio), who has come to collect on a blood oath called a “Marker” in exchange for a task that he completed for Wick that allowed him to retire in the first place. D’Antonio demands that Wick murder his sister Gianna (Claudia Gerini) so that he can claim her seat at the “High Table” and after initially refusing, Wick goes on his signature killing spree in order to reach his target and make good on his promise. Former stuntman-turned director Chad Stahelski once again crafts his signature brand of bone-crunching violence within action scenes that are sometimes overly long and often exhausting but as technically impressive as anything being done in action cinema today. He shoots his sequences with consistency and coherence, often favoring lengthy takes that are more demanding for the actors than if he were to piece together fragments of stuntmen duking it out but the authenticity is the key to what makes it all work. Reeves, too, is crucial to making the whole picture come together and his dedication to studying all of the beats of expert gunplay has once again paid off. Stahelski further distinguishes this follow-up with a pulpy visual flare that can also be seen as an improvement on the former work, setting the majority of the story in Rome with Catholic iconography popping up in the background to add some religious subtext. He also works with cinematographer Dan Laustsen to craft dazzling sequences that feature some heads-up camerawork, specifically during a gunfight late in the film that takes place in a Reflections of the Soul art exhibit comprised of rooms filled with mirrors. I also appreciated little touches like one of the opening shots that features a Buster Keaton film being projected on a city building, a nod to one of the most daring performers of all time. Most action films have an almost flippant attitude towards the pain that they inflict on both big and small characters but what sets this series apart is the reverence that it has for the bloodshed that it causes. Even when the body count rises — as it certainly does throughout the film — there’s a sense that the brutality is not without cost and that the violence often spurs on further violence, never fully resulting in closure for its protagonist. Conveniently, those are great terms for a burgeoning franchise and if future entries continue to be as inventive as John Wick: Chapter 2, I say keep ’em coming.